The International Association of Fire Chiefs , National Association of State Foresters, National Fire Protection Association and USDA Forest Service are now accepting nominations for the 2018 Wildfire Mitigation Awards. The Wildfire Mitigation Awards are the highest national honor one can receive for outstanding work and significant program impact in wildfire preparedness and mitigation. These awards are designed to recognize outstanding service in wildfire preparedness and safety across a broad spectrum of activities and among a variety of individuals and organizations. By honoring these achievements, the award sponsors also seek to increase public recognition and awareness of the value of wildfire-mitigation efforts. 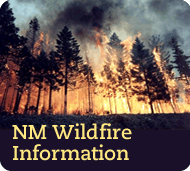 The 2018 Wildfire Mitigation Awards will be presented in February at the Wildland-Urban Interface Conference in Reno, Nevada. Review award criteria (PDF) and submit a nomination by November 10. For more information, contact Meghan Rhodes at MRhodes@iafc.org or 703-896-4839. You've received this email as an IAFC member benefit.